We are all being sold to... constantly. 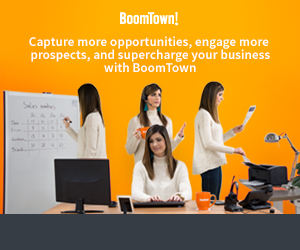 Unwanted ads, calls, and marketing e-blasts bombard us everyday. Here's how to be part of the solution and stand out from the noise. Many times it feels as if "permission" marketing has been thrown to the wind, but occasionally, we experience the better side of sales. The side where someone is presenting us with a valuable service in a helpful way. Successful agents know how to do this in their businesses. They deliver effective messages that persuade prospects and elevate their offering. "I've already spoken to someone, thanks." *click* That's exactly how you DON'T want your first conversation with a new lead to go. And it doesn't have to if you have a system in place for attracting, following up, and nurturing home shoppers. No system? No problem. Today, we'll show you the "three Rs" that one successful agent uses to convert online leads into sales. Ready? Let's go! Back It Up! But What's the Best Way to Protect Your Data? What's the worst thing that could happen to you today, technology wise? A computer crash occurs and ruins your hard drive. Or worse, it could be stolen. But it's only a major catastrophe if you didn't back up all of your data. Except, when was the last time you backed up all your data? Agents and brokers are typically extraordinarily busy during this time of year, driven by a surge in market activity and deal-driven deadlines. If backing up your hard drive keeps getting pushed down your "To Do" list, it's time to make sure you automate this process completely. The good news is you don't have to back up the data on your hard drive manually. That's the least efficient way to save data. And the best news: the options to back it all up are now easier to set up, faster to accomplish, and less expensive than they have ever been. Backing Up to a Portable Hard Drive This may be the most popular way to store your data safely in case something happens to your computer. It's also one of the most cost-effective means, and there's a plethora of automated software programs—many that are free or already installed on the portable hard drive you purchase. The price to store to a tethered hard drive has dropped dramatically. The best-selling 2 terabyte portable hard drive that's small enough to fit in your jean pocket or your purse is under $60 on Amazon. It's estimated that a 2 terabyte hard drive can hold over 170 million pages of Word documents or 620,000 photos or 400,000 songs or over 1,000 hours of video. For PC users, the most recent versions of Windows come with a built-in software system to back up your data. On Windows 8 and 10, it's called File History; on Windows 7, it's called Windows Backup. For File History, you need to set up how often you want to back up your files. It can be found from the Start menu if you go to Update & Security, then select Backup. Once you add a hard drive to File History, you can set how often you want automated backups, from once every 10 minutes to once a day. You can even set File History to delete your very old backups if you need more space. For Mac users, the simplest way to back it all up is with its built-in backup system, Time Machine, available on every Mac. It keeps a copy of everything on your Mac, and if you leave your hard drive connected, it automatically can make hourly backups for the last 24 hours, daily backups for the previous month, and weekly backups for each month. The way Time Machine works, like most back up programs, is that it doesn't copy your entire Mac each time, just what has changed. The reason why it is called Time Machine is that it will keep a copy of every document you change that day. If you deleted or modified a Word document on Monday and needed to get back that exact version on Friday, you can go back in time to retrieve it. But is using an external hard drive the best way to back up all your data? It depends, because there is a downside to portable backups. The biggest negative is you are likely to keep your computer and your portable hard drive in the same location. If there is theft and you lose both, you lose your data. The same thing happens if there's a fire. If you regularly store your hard drive elsewhere—like a weather and fire-resistant safe—it would be more secure, but how many people do that every day? And you have to remember to keep your hard drive plugged into your computer, or it can't back up your files. Backing Up to the Cloud Like the cost of portable hard drives, storage space online has fallen rapidly. When you use a cloud storage service such as Google Drive, Dropbox, or Microsoft One Drive, realize that all of these services use bank-level security and encryption. Let's say that unless you leave your password lying around, you should not have to worry about anyone gaining access to your data. Google Drive offers a 2TB storage plan for just $99.99 a year, which is more than enough for almost any agent or broker to back up their PC or Mac. Dropbox Plus offers a 1TB storage plan for $99 a year. Microsoft OneDrive offers 6TB bundled with Office 365 Home for 6 users or 1TB for each user for $99 a year. OneDrive's biggest appeal is your backup protection comes with online versions of Word, Excel, PowerPoint and One Note for a PC or Mac computer, tablet or phone. Backing up to the cloud with any of these services is relatively straightforward: you have to go through a menu-drive setup process, and then your device can be set to sync with these services automatically. If you are (almost) always connected to the Internet, you also could use your cloud storage service to act as your primary hard drive, freeing up storage space on your computer. If you do this, you gain access to all your main files from any computer, not just your own. Like backing up to a portable hard drive, backing up to the cloud has its pros and cons. In addition to being secure, data backed up to the cloud is stored offsite and redundantly, so you don't have to worry about the impact of a theft or fire. And the backup process is getting easier, faster and, again, less expensive. The key downside to cloud storage is you must be online. That isn't always possible when an agent is hosting an empty open house without internet access. Hotspots help solve this problem, unless an agent can't get a reliable cell signal from the open house, and that renders access to the cloud impossible during that time. Speed is the other big issue when recovering a backup up from the cloud. If you have to restore a computer backup that contains a large amount of data from the cloud, it will take a lot longer than a portable hard drive—and require more patience. If you have data limitations from your internet provider, this could also impact your real costs, or speed, or both. Some internet providers limit your total monthly data use, ratcheting down your speed when you exceed certain limitations. Cloud storage could add significantly to your data use. One more option: Online backup services While you can use Google Drive, Dropbox, and Microsoft OneDrive to back up your devices, there are specialized backup services online. Their only function is to back up your data online. The most well-known services are Carbonite and Backblaze. For $60 a year to use Backblaze, all of your data is backed up by default, so the setup process is automated. The service runs in the background with an internet connection. There's no storage limit, and that means unlimited backs. Backblaze also can be used with a portable hard drive to back up your data if you want to do both. It even saves copies of your deleted files so you can retrieve them later. Carbonite also offers automatic, unlimited online backup through a series of tiered plans based on how long you subscribe (discounted pricing with a 2- or 3-year plan) and how much protection you desire. Carbonite's basic plan is $72 a year with unlimited cloud backup. If you want to add the ability to also do an external hard drive backup for your redundancy protection, that price is $112 a year, and its Prime service combines a courier recovery service for $150 a year. The biggest downside for these online services remains speed if you only backup online. Bottom line Your client data is too important not to automate backing up your computer at least daily. If you also want to protect the priceless photos and videos you took on your favorite vacation that's on the same computer, your investment and time are minimal when you consider it protects you from a lot of potential pain and suffering, as when you lose your data, it is chaos. And before your backup, consider some spring tech cleaning to clear your hard drive of clutter and unneeded files. Finally, you may be one of the 600,000 fortunate agents and brokers with access to the number-one tech support service – Tech Helpline – through your MLS or association. That means you are a call or click away from getting expert help in setting up your new backup system at no charge, as you are covered. If you MLS or association hasn't added Tech Helpline as a member benefit, let them know you want access to one of the most popular benefits MLSs and associations can offer. More information is available at TechHelpline.com. Tricia Stamper is Director of Technology at Florida Realtors®, which owns and operates Tech Helpline and Form Simplicity. More leads, higher closing prices and an engaging experience that keeps users on your website for longer – what's not to love about new marketing capabilities and portal-friendly 3D virtual walkthroughs? Here are 11 reasons why you should embrace this technology. First-time buyers bring a lot of specific questions and anxieties to their home search. That's why hosting a first-time buyers seminar is a great real estate marketing move: It will help establish your expertise and expand your network, while offering them some valuable advice. Not only will your personality be on full display, but you'll establish your authority on the local market and local laws and procedures. You'll show that you can disentangle real estate jargon for intimidated home-seekers. There's no doubt that online search is one of the most important tools for helping prospects find your real estate business. According to the National Association of REALTORS, 50 percent of real estate customers find the home they eventually buy through online search, and plenty more use search to identify the real estate agent who helps them find the right home. So it's important to make your website as search engine-friendly as possible—which starts with using the right real estate keywords. Today, we're going to take a closer look at what real estate keywords are, how they work, and what you can do to leverage the power of keywords for your real estate website. For both new and experienced agents, spring is always a busy time in the real estate market. After the dull winter season, prospective buyers look forward to springtime to purchase a home. Of course, as a real estate agent, you want to take advantage of the growing market during this time, so how do you separate yourself from the competition? How do you capture more than your fair share of hot prospects, and how do you ensure that past clients call you when thinking of buying or selling a home this season? In this two-part series, we will show you how to stand out as a real estate agent in a competitive market, specifically during a busy time! Are you wondering how you can engage more with your followers on social media and build your business at the same time? There are many ways to do this. Probably one of the best is to use video – more specifically, Facebook Live. Using Facebook Live to build your business will not only help you engage with your friends on Facebook, but will also provide you with opportunities to showcase the different aspects of your business. Whether you are trying to provide tips for your clients or show a listing, Facebook Live might be the next best thing for your business. Wednesday, March 27, 2019 at 10:00 AM PDT Get a full head start! 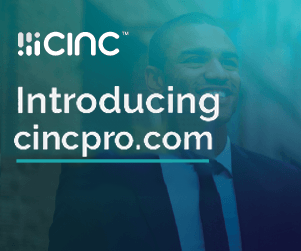 In addition to all of the basic CRM functionalities, the Pro subscription offers a wide array of management, communication and development tools that will enable you to go beyond your objectives. These tools have been developed in collaboration with real estate brokers intent on providing impeccable service to an ever-demanding clientele. Which Prospects CRM features will be covered: Match CMA Facebook Publishing Tool Hotsheet Prospecting tools Register now! Real estate agents have been using social media to connect with real estate clients for many years now, leveraging sites like Facebook, LinkedIn, Twitter, Instagram and YouTube to reach and engage clients and prospects – all with a goal of driving new business. If social media is on your radar as a marketing strategy to explore but you're not sure where to start, here are a few simple social media strategies you may want to consider. Moving into a new home is among the most stressful events an individual will go through in their lifetime, right up there with a divorce, the death of a loved one and the loss of a job. Yet surprisingly, most real estate agents are never taught how to manage a client's emotions in a way that will prevent a meltdown from occurring. By using a few simple techniques and front-loading the process to show clients what they can expect at each step of their journey, it's possible to mitigate and even avoid meltdowns, says Steve Wener, a San Diego-based real estate agent. Do you remember when we liked getting email? We liked it so much that Hollywood once made an entire movie about it. In You've Got Mail, the charming and feisty shop owner (played by Meg Ryan) had an email flirtation with the business savvy, but slightly annoying corporate executive (played by Tom Hanks). Each time they heard the addicting ding signifying a new message, they couldn't wait to read it. Remember that feeling? It goes without saying that these days, things may have changed a little bit. Safe Selling: Stay Out of Outbuildings! It's one of the simplest, yet most crucial of safety rules to follow when showing a home: Stay out of outbuildings! Even though plenty of properties have structures like detached garages and sheds--and even though many buyers will be interested in seeing them--NEVER go in. So what should an agent do instead? Check out this week's Safe Selling video to find out! Watch the video above to learn: Why outbuildings are a hazard for agents and an opportunity for predators How to physically position yourself when showing outbuildings What to say to clients when they want to see an outside structure And more! Have you ever wondered what you can do to take your real estate business to the next level? Sue "Pinky" Benson figured out the best option: use videos. Benson is a Realtor based out of Naples, Fla. When she moved there three years ago, she found that the market for real estate was extremely competitive. She knew she needed to create a competitive edge that would separate her from the other Realtors. Two and a half years later, her idea to branch into videos paved the way to her success. Before you purchase any software for your business, always check for resources available from your local, state, and NAR. Realtors Property Resource is a great example of a member benefit that offers a strong array of market analytics reports that can be beautifully branded to the agent and broker. 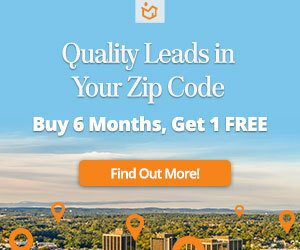 The best part is that NAR offers this tool as a member benefit. 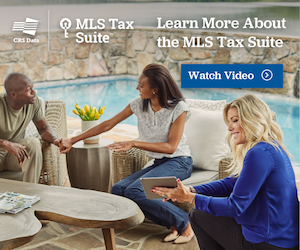 The MLS is the second place to look before purchasing market analytics products. In our Success Guide to Marketing Analytics, we highlight CRS Data, a service that is licensed by MLSs and delivered as an MLS subscriber benefit at no extra cost. Franchises or networks like Leading Real Estate Companies of the World also offer market analytics tools either for free or through a partnership program with technology companies that typically offer some customization benefits and/or cost benefits to franchisees. Check out these services before you buy. On RE Technology, we filter products by their suitability to MLSs, brokers, or agents. When you log in, the default should align with who you are, but there is the option to change your status (see the image below). For example, a broker may want to research market analytics tools for an agent. Likewise, an agent who is part of a selling group or a team may want to look at market analytics tools that suit multiple users as a brokerage would. Ask lots of questions about data refresh rates when you are considering market analytics tools. Some update in real time with the MLS using data synchronization methods like Application Programming Interfaces. Others will commonly update every 15 minutes. Some update daily and others may only update once a month. Speed matters, especially when you can have 10 percent swings in property values from month to month. Also, look at your overall technology budget. Sometimes you can sacrifice some redundant tools to invest in some great market analytics tools that really improve your business performance. Want to learn more about how to make market analytics work for your business? 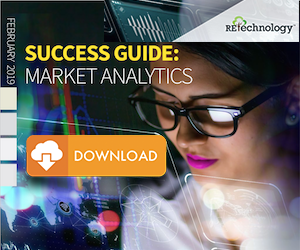 Download our FREE Success Guide to Marketing Analytics today! As an agent, do you have a reliable strategy and system for engaging with and converting potential clients? Whether a prospect walks into an open house, comes by way of an online ad, or through a chance encounter at a local coffee shop, having a framework in place to guide the conversation and assess their needs from the get-go will prove invaluable down the road. Starting off in real estate photography? Not sure where to begin? We're here to help! This article will explore five practical tips for anyone starting off in real estate photography that will help speed up your workflow and improve image quality. There are dozens of ways to advertise and thousands of places to do it. When you drive around town, you see other agents on billboards, buses, and benches. They pop up in your Facebook feed and you're always seeing things they posted on Pinterest or Facebook. Those agents have taken steps to ensure they're always top of mind and easy to get a hold of. If you've ever wondered if you could be winning more leads or how to plan an effective advertising strategy, our guide to advertising will help. Find out if you need ads and what kind of ads will benefit your business below. Moving is listed as one of the top three most stressful life events. As one of the largest financial transactions in life, it can be hard to remove the emotion from the transaction. Neuroscientists have determined that emotions such as love, vanity, and pride can play a central role in this entire process. The way we feel can help determine what decision we make and why. Part of the role of a Realtor is to help your clients navigate the big emotions that come along with buying or selling, whether it be love or hate. While emotions will always play a part, rational decisions must also factor in. Realtors work hard to balance both the emotional and rational thought processes. We know that when making rational decisions, we often consider things like profit, security, and health. Rational purchases require extensive research based on concrete information like property dimensions, home inspections, and pre-qualification that can help to manage and mitigate emotional responses. In 2017, NAR did a survey of homebuyers and sellers to determine which features they found most helpful when doing real estate research. This survey gives us insight into the areas where emotion and rationale meet. Further, it gives insight into the tools that may help your clients focus on the rational side of the transaction. Source: http://goiguide.com/iguide-showcase Photography Photos continue to be the most useful and requested items during a home search. The importance of quality, professional photos can't be understated. Often these will be the buyer's true first impression and determine whether they will request an in-person showing. While photos can evoke emotion, they can also assist buyers with quickly eliminating spaces that don't work for them. Floor Plans One of the most underutilized real estate marketing features of all, properties with floor plans, see an increase in click-throughs by 52 percent. They're a true differentiator in the industry and make your listings stand out from the crowd by supplying new and interesting information in an easily understandable format. When a floor plan is included in a listing, it helps potential buyers to better visualize the layout of the house, especially if it is interactive. Property Details While floor plans are the best tool for emotionally moving into the home before ever buying it, they provide a very real and rational value – room dimensions. Room dimensions and overall square footage should be considered in terms of comparing recently sold prices in the market, as well as current comparable listings. Virtual Tours Coming in fourth on the list are virtual tours. While 3D virtual tours are often produced to create an emotional response, they also allow a buyer to judge the utility of the space for their needs. It's not just about how the room looks, it's about how usable the rooms really are. Being able to virtually look out a window, stand in a doorway, or walk down a hallway personalizes the experience in a way that is both emotional and rational. As humans, emotion will always play a role in major purchases. But with the right tools, data, and expertise, you can help your clients base their biggest financial decisions rationally and confidently as well. Brought to you by Sara Penny, Communications and Marketing Manager at Planitar Inc., the makers of iGUIDE, and the iGUIDE® Team. Follow the link for more information on how iGUIDE 3D Virtual Tours can help you save time and connect more with your clients. At this moment in time, how many emails are in your inbox? Today, one woman said 20,000 emails, and she just ignores most of them. Twenty-thousand may sound extreme, yet many people have thousands of emails in their inbox. We are talking about the number of total emails sitting there, not just the read ones. An attorney I work with is completely up to date with all his emails. His wife had only 22 emails in her inbox. That is a rarity. As business people, and in our personal lives, the number of e-mails we get each day can be daunting. A disorganized inbox can hurt our business and productivity. Anyone who works online leads knows it takes skill to turn a property inquiry into a potential client, let alone a commission-earning deal. Texting only makes things more difficult, with no assurance of a timely response and no way to rely on body language to see if a connection is really being made. Difficult, but, as San Diego-based real estate agent Steven Wener recently proved, not impossible. Selling real estate is a constant dance. You've got to find ways to attract leads, then nurture clients and close the sale...all at the same time. If you get the first part right, the rest of the sales process can go more smoothly. Here are a few tips to help you really engage leads to move them into the sales funnel. The 37 Percent Rule How many people should you date before you commit to one? What about candidates to interview before making a decision? Parking spots to pass by before choosing? How many homes should buyers look at before submitting an offer? 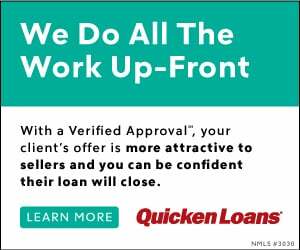 How many offers should they review before accepting? As with any decisions where comparisons are being made, committing is scary. If you commit too soon, you risk out on a better option down the road. Too late, and you may have passed up the optimal choice. Thankfully, there is a simple mathematical rule that may help home buyers consider how long to search and when it's time to decide.